If Paul Robeson were alive today, he’d be toasting and defending people’s hero Ramsey Orta (who filmed the police killing of Eric Garner) and roundly condemning the rigged-grand-jury decisions, escape hatching the police murderers of Garner, Tamir Rice and Mike Brown, in particular, and the countless other ones that indignantly join them. 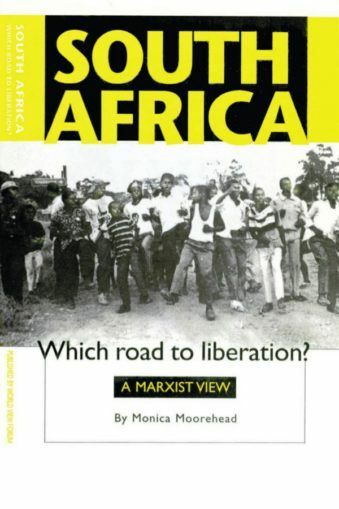 Robeson would also point to the oppressive machinery of the state as being ultimately responsible for this continued outrage against the most vulnerable populations in society, easily determining that this practice is totally unacceptable! And he’d heartily salute the valiant folks of Ferguson, Mo., especially the youth, for refusing to be intimidated by the contorted face of militarily armed and trained police, National Guard and intelligence personnel, dispatched to contain livid community residents and their supporters. The state’s response to a crisis they created was to “send in the troops,” like they’ve done in Iraq and elsewhere, over its sordid imperial history, thus earning the indigenous people’s enmity and contempt by their mere presence as invaders and occupiers. Ferguson is a first cousin to Detroit 1967 — in a whole lot of ways! Honoring the memory of Paul Robeson is no ceremonial gesture. Why? As a highly recognized and accomplished artist on many levels, he helped set a riveting standard about what creative people are “obligated” to do — if they are “organically” joined to progressive needs of humankind — and, that is, to “fight for freedom or slavery.” Paul Robeson devoted his life to humanity’s highest ideals in the most extraordinary ways. Few rival his fields of significance. The essence of who this gentle giant really was is in his classic work, “Here I Stand,” issued by Beacon Press in 1958. This rugged Rutgers alumni clearly states his own case, partially seasoned by the hostile atmosphere he endured as a member of the school’s football team and as a “rare” student on campus. Both provide fitting tributes to an extraordinary artist who’d been deeply influenced by his dad and the historic period in which he grew up and greatly influenced. Accolades and descriptions of his noted accomplishments are too voluminous to detail here, but we include some highlights that undergird his designation as a “Renaissance man,” who without hesitation offered his skills and talents in loyal service to the delight, liberation and advancement of people, in the millions, around the planet. The decades between the 1920s and early 1960s reflect his greatest works. As one of Harlem’s own, Robeson was a central and unavoidable figure in its glorious Renaissance. His connections to Langston Hughes, Hubert Harrison, Lena Horne, Arturo Alfonso Schomberg, Nicolás Guillén, Pablo Neruda and Tony Benn modestly point to the magnitude of people he knew and interacted with, including countless ordinary folk who rightly and proudly claim they knew him, too. He and his spouse, Eslanda Goode Robeson, went to Spain in the 1930s to help boost the morale of U.S. volunteers in the Abraham Lincoln Brigade fighting with anti-fascist forces against Francisco Franco, who saw the world through Hitler’s eyes. Robeson generously supported the coal miners in their march for better wages and working conditions in Wales and Scotland. His roots lay deep with the common folk of his ancestry and with those around the world. Once you heard his organically melodious baritone voice, in any language, you were never the same. Standing-room-only throngs flooded his guest appearances in the Soviet Union in particular. 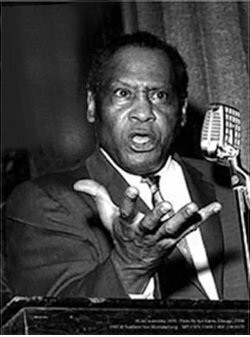 And when J. Edgar Hoover and Joe McCarthy tried to intimidate him during the anti-communist witchhunt in the 1950s, Robeson told them in effect “to speak to the hand.” The State Department took away his passport and encouraged promoters to cancel their contracts with Robeson. Yet his voice still reached Canada and England through the benefits of the technology of the time! With great dignity and determination he refused to bow to government pressure. And Paul Robeson never backed away from his love and support of the Soviet people, expressing his open admiration for their stunning defeats of Hitler’s armies at Leningrad and Stalingrad during World War II and elsewhere. He lived by uncompromising example. In a nutshell, Paul Robeson urged the people to use their talents, whatever they are, in service to humanity. Think he had it right.